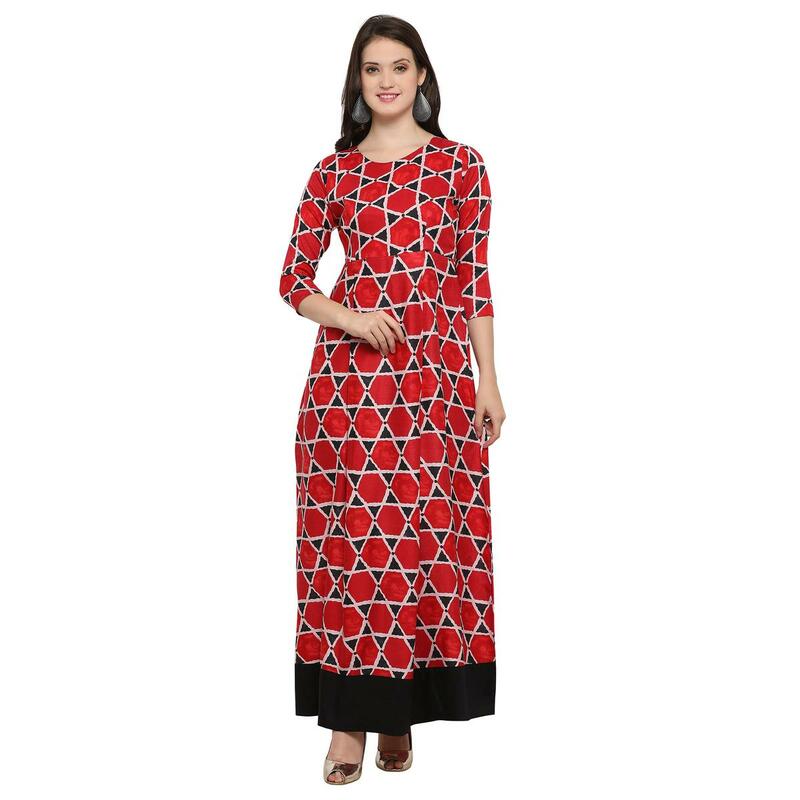 Make the heads turn when you dress up in this scintillating red designer rayon fancy kurti. 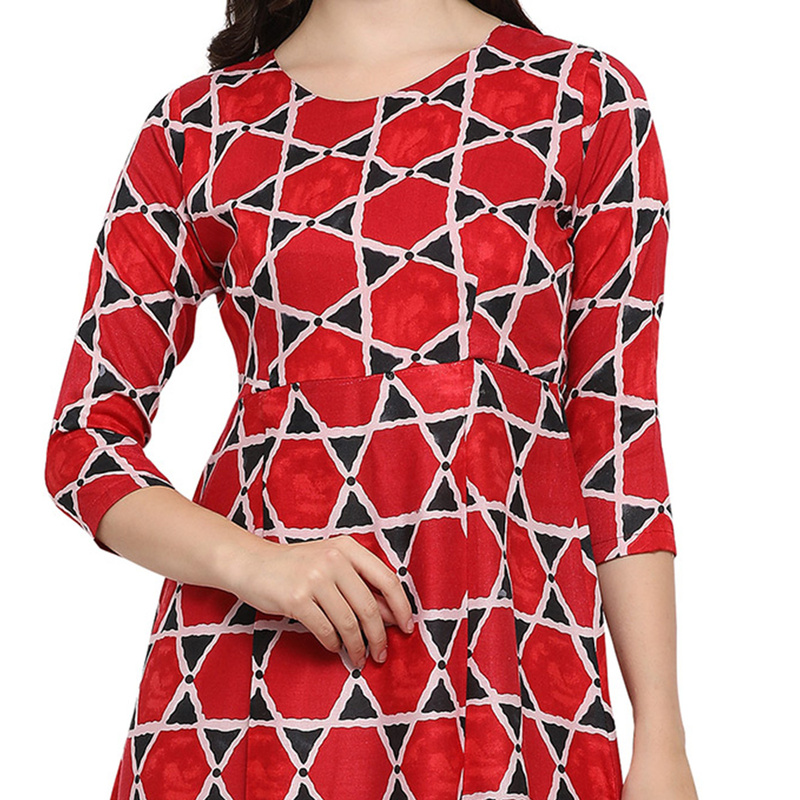 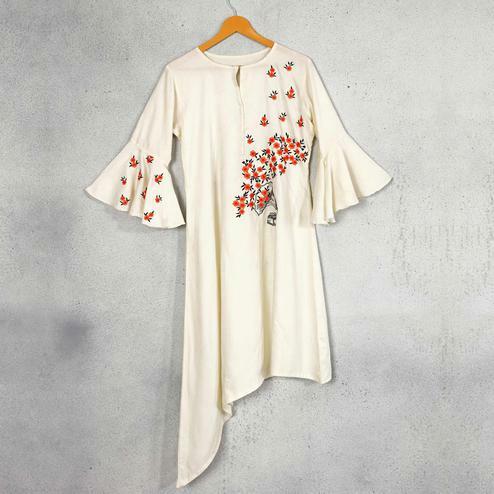 This exquisite fancy kurti is enhanced with digital print, cuts and layers. 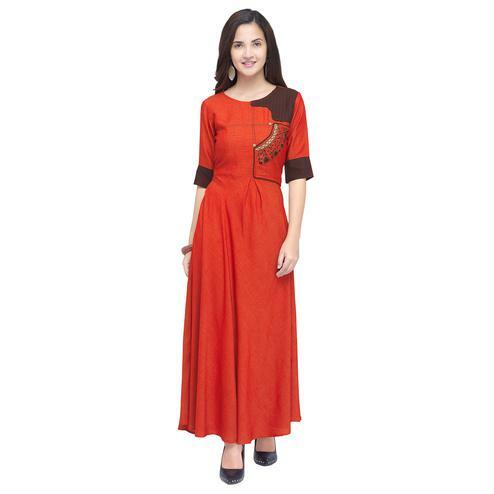 Team this designer kurti with leggings or churidar, beautiful earings and high heels and you are good to go. 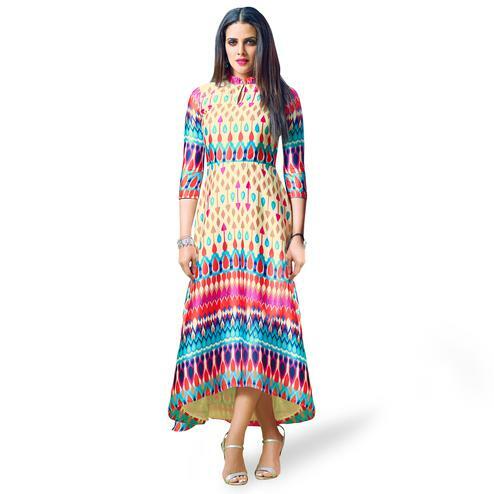 Suitable for casual wear, weekend get together, parties and events.